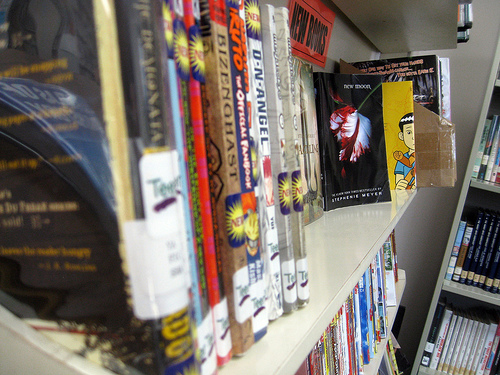 The Wharton Public Library has over 600 Young Adult fiction novels, as well as audio books, graphic novels, manga, and nonfiction. We also offer a variety of programs and activities. Our YA-Hoo! program meets twice a month for crafts, activities, and games. It's open to students in grades 6-12. You don't need to sign up to be a part of YA-Hoo!, but some programs may require registration. Our Teen Advisory Board is a group of middle- and high-school students who give suggestions and feedback on library issues relevant to teens. Each year, we offer a summer reading program for middle- and high-school students. Check back in May or June of 2017 for more information.